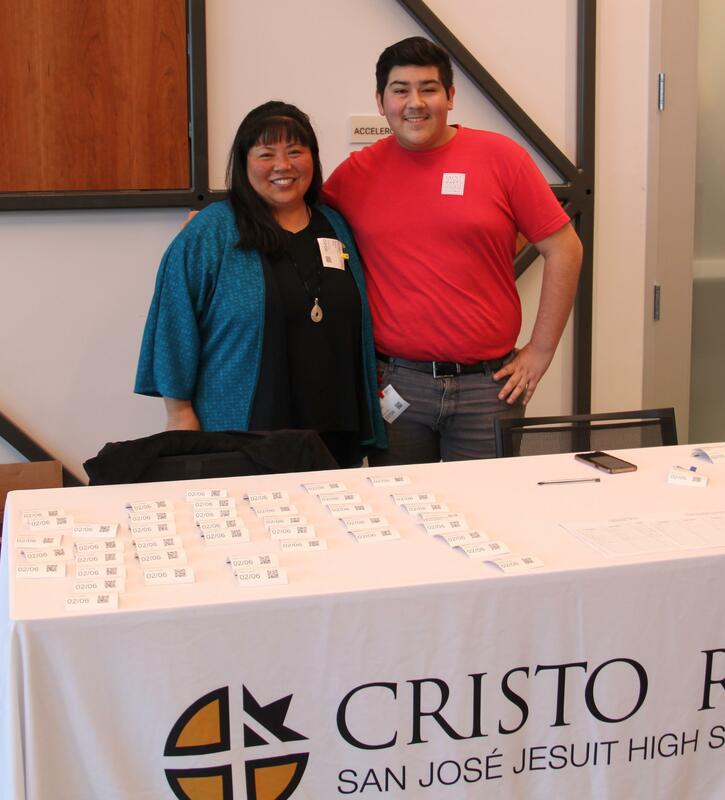 On February 6, 2019, more than 150 corporate work study partners, supervisors and supporters of Cristo Rey San José gathered for the inaugural Work Study Heroes Luncheon. 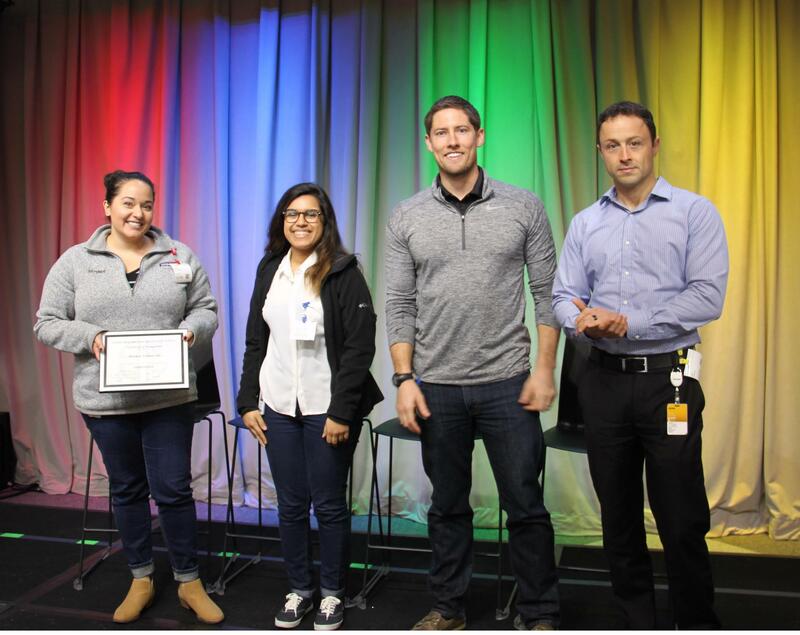 Generously hosted by Google at its Sunnyvale campus, the luncheon was a celebration and recognition of the amazing, transformative work that is occuring with Cristo Rey students in the workplace. 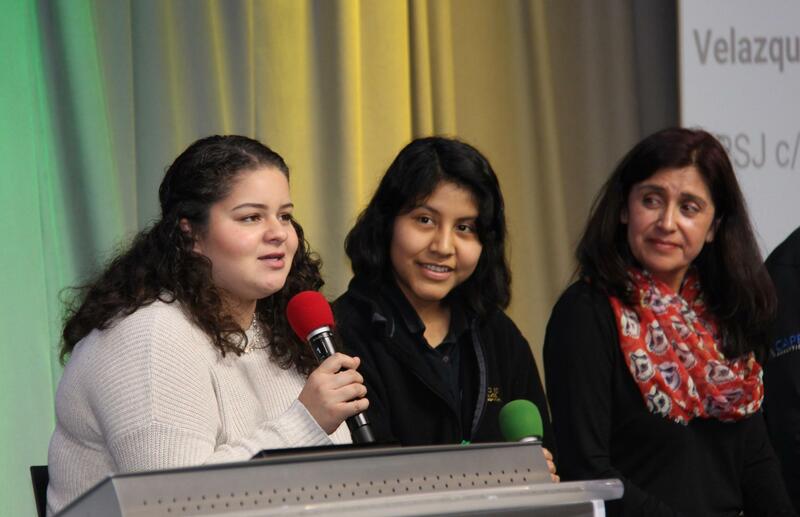 The program featured students sharing their experiences, relationships and best practices in the work study program. 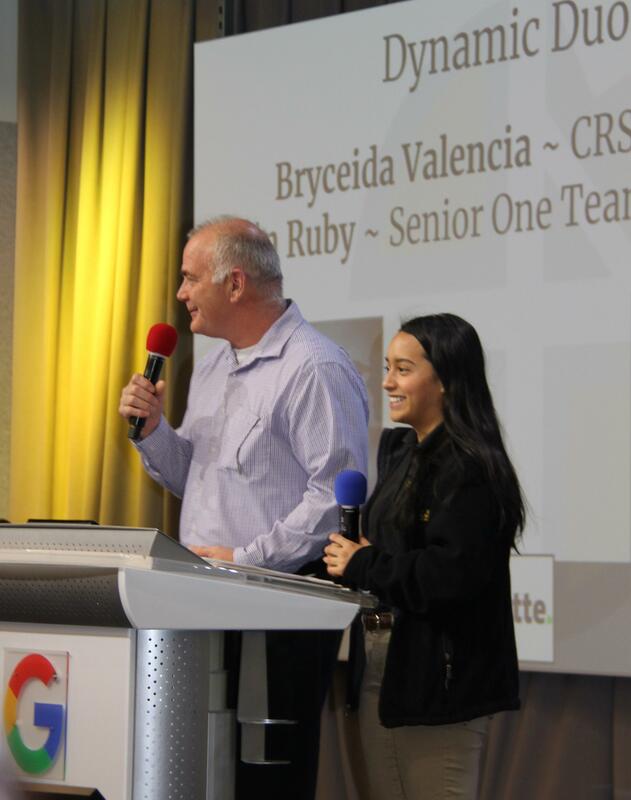 Leading off was Kevin Ruby, Senior One Team Lead Ambassador at Deloitte, along with his student, Bryceida V., sharing their experiences working together for the past two years. 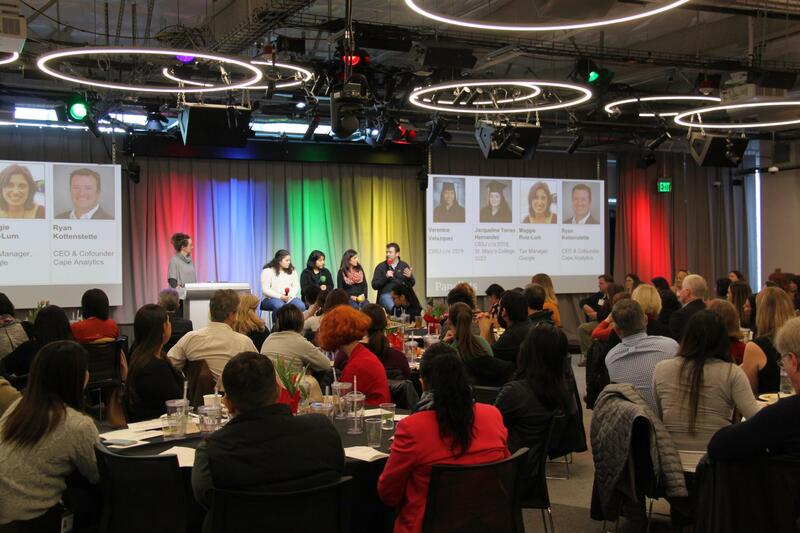 Next, a panel consisting of a current student, Verenice V.; an alumnus, Jackie T. (enrolled at Notre Dame de Namur); a supervisor, Maggie Ruiz Lum (Google); and an executive, Ryan Kottenstette (CEO at Cape Analytics), shared their reflections on the program. 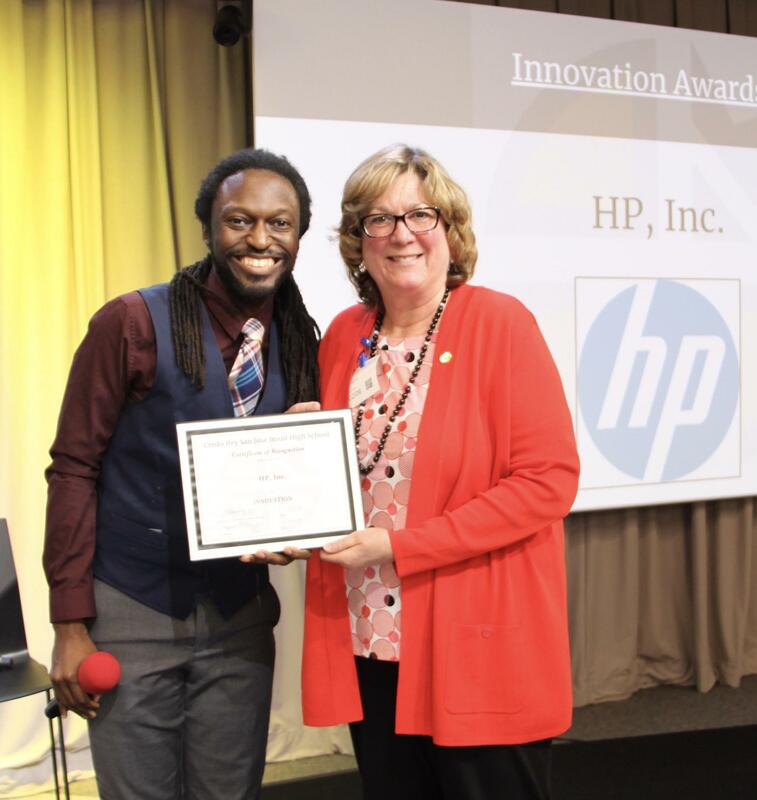 The winners in this category have included students in business projects and initiatives which require extra teaching and learning. They have utilized students in challenging tasks and environments with increased expectations. 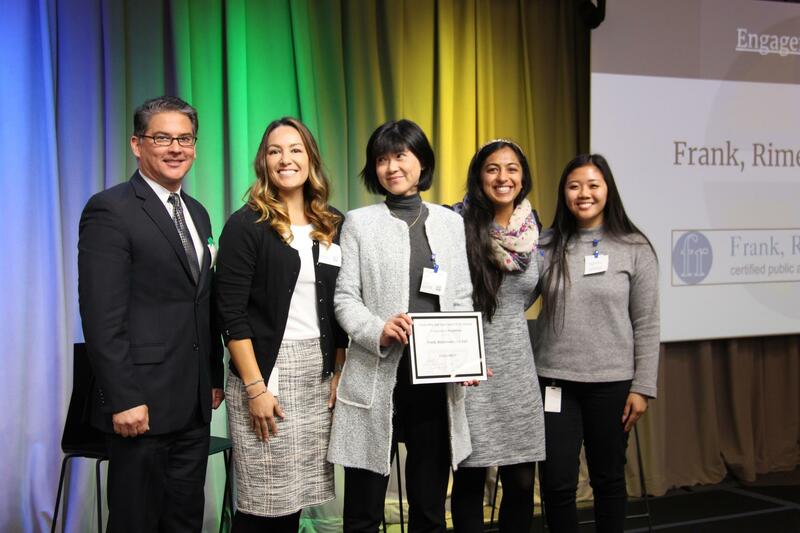 They’ve structured the program to model true “internships,” exposing students to business processes beyond their academic skills. See their nominations here. We like to call this the Long Term Love award. These partners have stuck with our program and with our students knowing there is significant room for growth. Whether it is working with our most timid students, or students who need extra love and guidance, these partners persevere. See their nominations here. 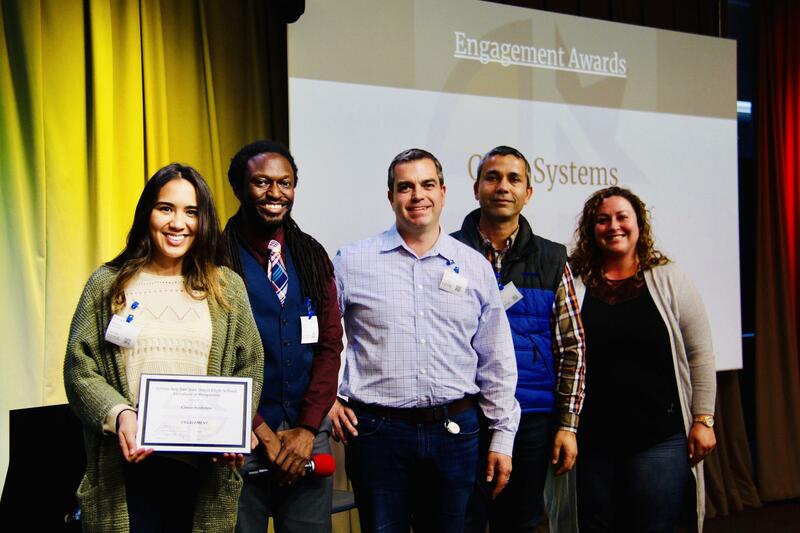 ﻿Cisco﻿ and Frank, Rimerman + Co.
All of our partners are engaged; we couldn’t be more fortunate to receive such incredible support on a daily basis. 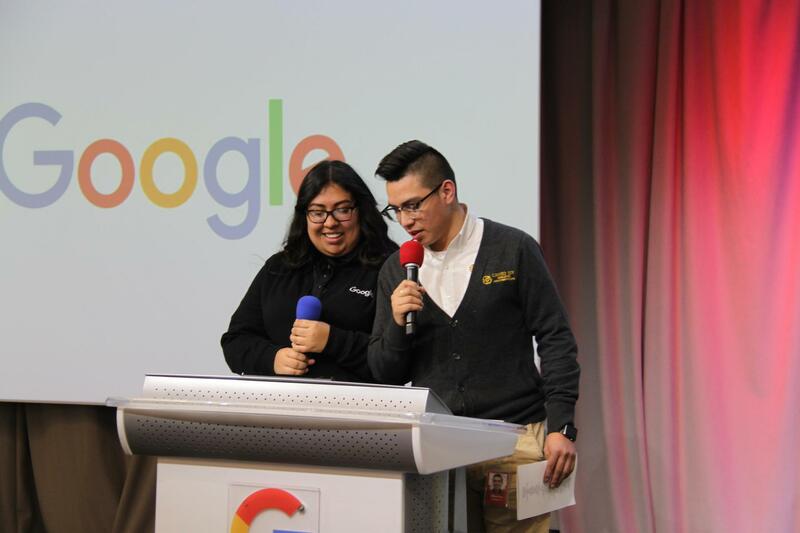 These winners have distinguished themselves by engaging with Cristo Rey on multiple levels: Work Study; College Applications; Rey of Hope Fundraiser Sponsorships; Board Participation; Connection with Alumni; Volunteering; Attendance at Graduation, Sporting Events, Night of the Arts, and the list goes on. See their nominations here. 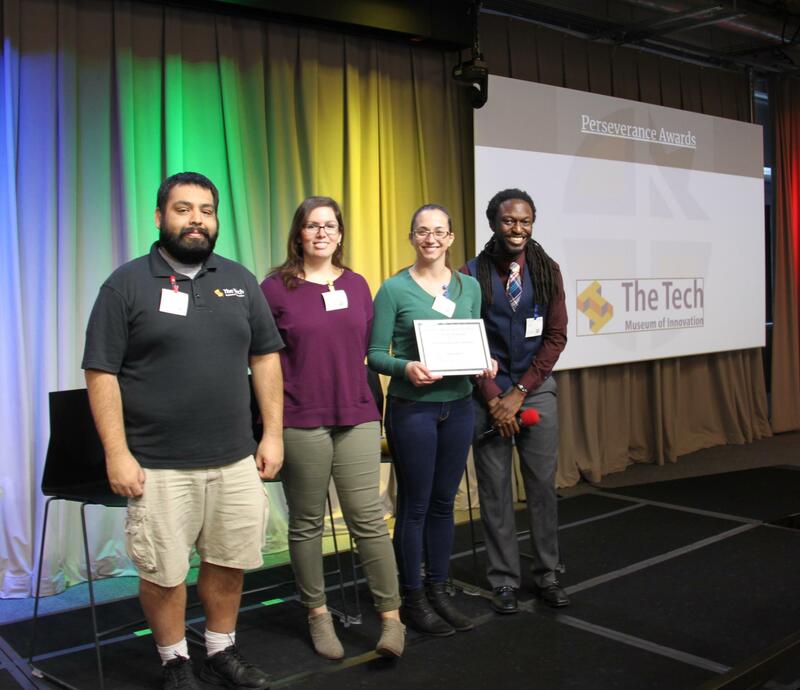 These partners have participated in the program since the school’s founding year in 2014. 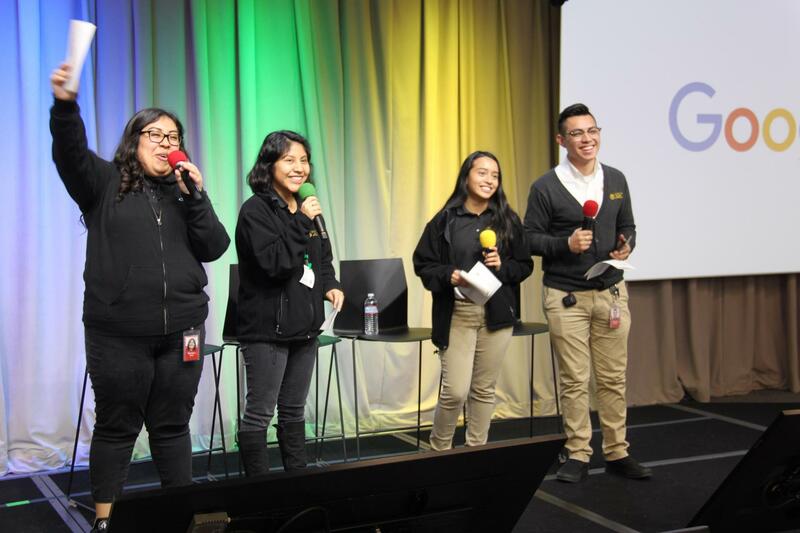 These partners currently support 8 or more students in their workplaces.